Ducks are flying further than just south for the winter this year: The University of Oregon ranked No. 17 on the Peace Corps’ annual list of top colleges and universities, with more than 44 Ducks serving internationally. The UO has made the list for more than 10 years, with 1,326 alumni serving since the program's conception in 1961. With more than 6,000 past volunteers, Oregon was the fourth-highest volunteer producing state per capita, according to Peace Corps spokesperson Carla Koop. The Peace Corps has various volunteer positions in more than 60 countries worldwide. Volunteers are sent to communities who request help on specific projects, which can include education, business, agriculture and more. 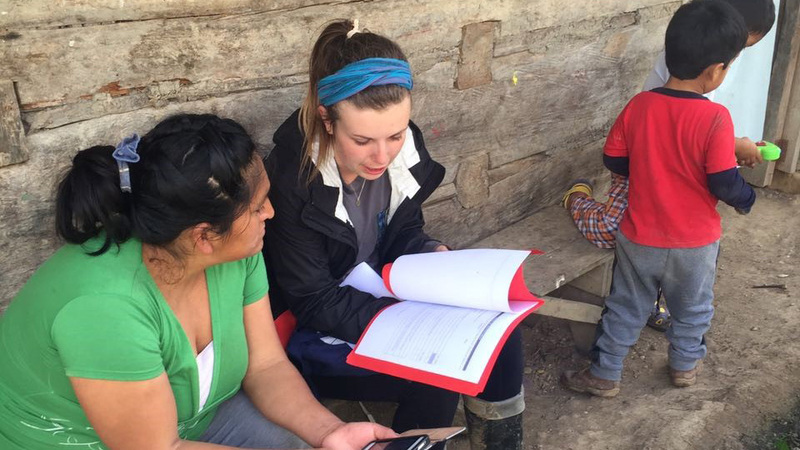 UO family and human services alumna Jessica Gudgell is currently serving as a health volunteer in Peru and feels her time at the UO helped her decide to get involved and serve in the corps. According to Peace Corps director Jody Olson, the work that volunteers from universities and colleges around the country do is invaluable. The Peace Corps top colleges and universities ranking is divided into five categories assessing total current volunteers at small, medium, large and graduate schools. A fifth category is awarded to top volunteer-producing universities since the start of the organization in 1961. The UO is in the large colleges category with more than 15,000 undergraduates. This year’s ranking placed the UO in a three-way tie with University of Arizona and Virginia Tech, all with 44 current corps volunteers. To see the full list of top-producing colleges and universities, visit the Peace Corps website. Students can learn more about the Peace Corps by connecting with UO campus representative Denise Silfee. Her office is in Hendricks Hall, Room 220. She can also be reached by email at pcorps@uoregon.edu. Silfee is a returned volunteer who can share insights about her Peace Corps experience in Thailand.